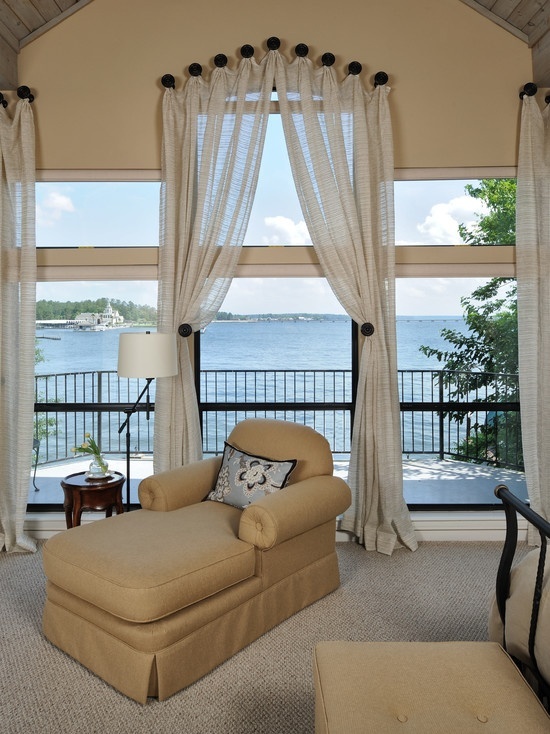 Six Beautiful Window Treatments to Reflect Upon! Barbara Barry once said, "Windows shouldn't look like party dresses," her theory being that we should think of window treatments architecturally, as extensions of the wall. Shes goes on to state, "Treat them simply with a fabric that's the same color as the wall so that you enlarge rather than constrain the space." Well, I am not so sure I totally agree with this whole statement. 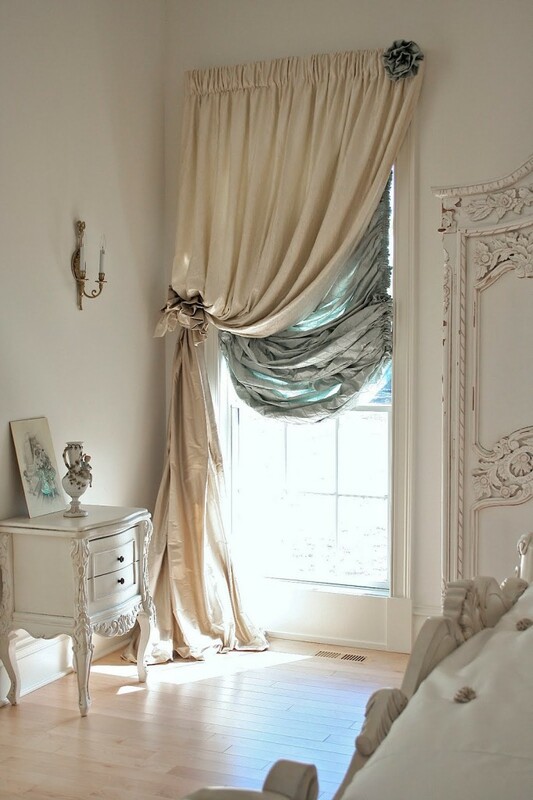 Although it is true that less is more, I find that a well dressed window can be what draws the eyes to the space. 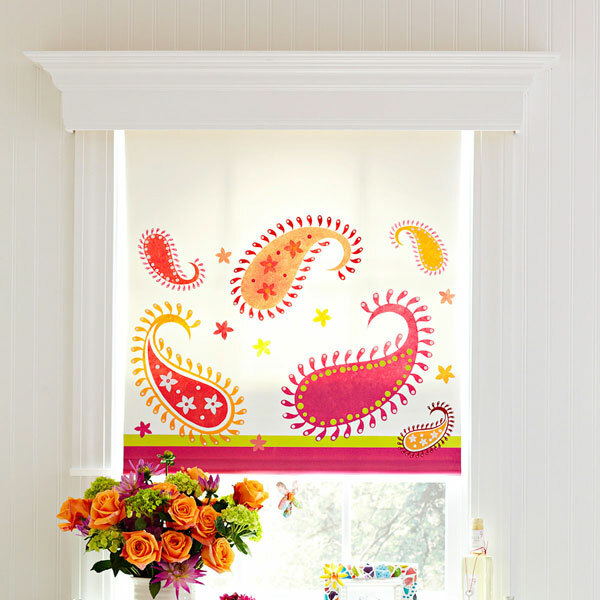 Of course, it does make a difference if the purpose of decorating the window is for home staging or is it to beautify your space with a redesign. I have shown a few examples below that give you a good idea of what I mean when I say windows should draw the eyes into a space or room. 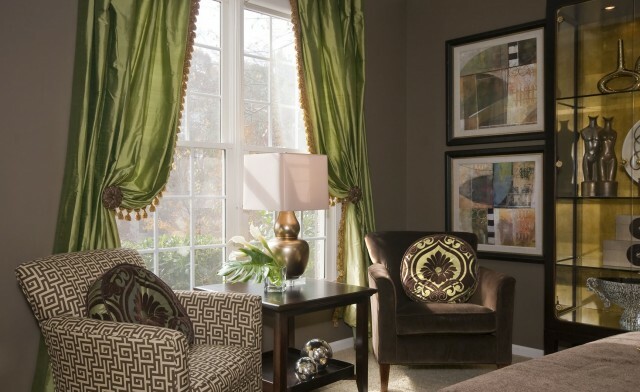 The year of 2012 trend tends to lean toward earthy hues such as moss green, dusky browns, and pale yellows. Bamboo and natural wooden treatments are a popular choice and the earthiness creates an ambiance of comfort and soothing spaces. The trend is to stay away from heavy fabrics and select fabrics that are lighter, such as cottons and silks. Personally, I like a punch of color...what's your style? Share with a comment below. This color green fits in nice with the earth tone colors. The simple tassel fringe adds a little pizazz to the curtains. This is a beautiful chic azure window treatment that is simple, elegant and a nice contrast to the wall color. The simple layered effect gives the room a ethereal feeling. What a nice play of rain forest green prints with the bamboo blinds. A natural beachy palette to relax in and enjoy! So....I had to laugh when I read the story behind this photo. The designer is a truly talented woman! I love the romantic side that the room portrays and the colors are subtle and soothing and yes....they do blend in well with the walls but oh my....girly girl dress style. Go read the blog and see all the rest of the pretty photos....love the corset pillow she made. This is an interesting window treatment designed to off-set the odd shape of the window style. Great way to camouflage and pull the eye to the design. PREVIOUS ARTICLE: FASHION-CREAM & GOLD HOLIDAY STYLE! This entry was posted on Thursday, October 18th, 2012 at 7:00 am	and is filed under Home Design. You can follow any responses to this entry through the RSS 2.0 feed. You can skip to the end and leave a response. Pinging is currently not allowed.